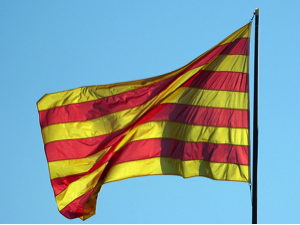 Catalonia is an autonomous region of Spain with material and cultural wealth. 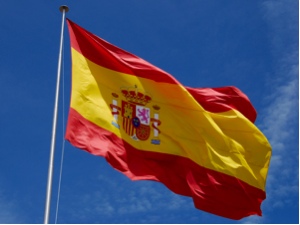 Despite its affiliation with Spain and peaceful coexistence, its people feel truly separate from the rest of Spain due to their strong sense of independent regional identity. The laws and policies currently in place reveal how truly separate identities are between Catalonia and the rest of Spain. Specifically, the linguistic debate in the educational system is an important illustration of this sentiment and from it many debates and tensions have manifested. 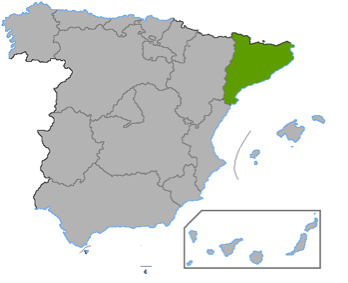 In Spain the autonomous community of Catalonia is considered to be a bilingual region. Here Catalan and Spanish (Castilian) coexist, however, there are virtually no Catalan monolinguals: whoever speaks Catalan necessarily speaks Spanish, too. A 2013 census found that 73.2% of the population of Catalonia could speak Catalan (5.35 million people), 95% could understand it and 55.8% could write it. There are significant differences among age groups. Of individuals under 25, only 3% do not speak Catalan. On the other hand, of individuals over the age of 75, 60% can speak Catalan. Another significant factor to the data is nationality. Individuals who do not have Spanish nationality know less Catalan than those who are Spanish citizens (Census Reveals, 2013). In the home and with peers the majority of the population uses Catalan. Those who speak Spanish in the home are normally of higher economic class who view Catalan as less prestigious (Boix-Fuster, E,. & Sanz, C.). The linguistic conflict between Catalan and Spanish can be traced back to the fifteenth century. During this time Castilian Spanish was the dominant language used throughout Spain causing regional languages to be spoken only in the home. It was not until the nineteenth century that Catalan began to have cultural and literary value. Catalan once again went through a period of decline in the twentieth century when General Francisco Franco prohibited teaching in any regional language (Lourenço, 2010). With the reinstatement of Catalan democratic institutions in the 1970s, Catalan again became an official language and the primary language used in the educational system (Boix-Fuster, E,. & Sanz, C.). Today the language policies of the educational system in Catalonia favor Catalan which is why Catalan is extensively used in primary and secondary education. Congress, under the Spanish Parliament, passed a motion in 2011 backing the Catalan education model supporting linguistic immersion in Catalan and its use as the main language of communication in Catalonia’s public schools. 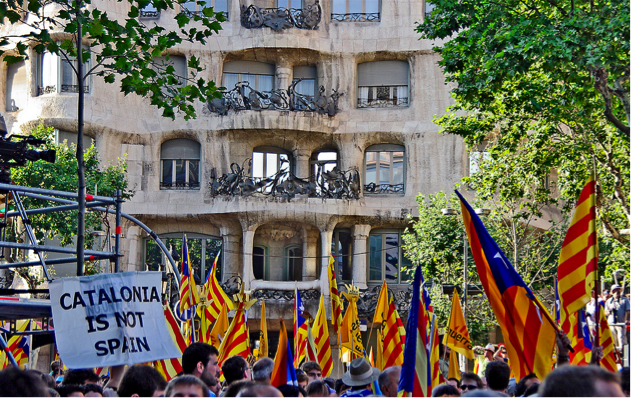 It calls for Catalan to be used regularly as the vehicular and learning language. As a vehicular language Catalan would be the means of communication between peoples of different languages. This was a response to the higher court’s decision that requires the Catalan regional government to accommodate Spanish speakers (more information can be found here) who want their children to be educated in Spanish instead of Catalan (Balsells, 2011). This along with other linguistic policies in the education sector have resulted in major social and political conflict that divides the population by linguistic identity. Supporters of teaching in Catalan feel that it is at a disadvantage in relation to Spanish. They feel that Catalan is part of their regional identity and that equality will combat against the struggle for linguistic survival. The argument of the opposing side is that prohibiting the use of Spanish in the educational system would be detrimental due to its rich literary history and culture and its international and domestic recognition (Lourenço, 2010). As a bilingual speaker Héctor García (26 years old) exemplifies what many consider to be the benefits of the Catalan education model. His parents, who are not native to the Catalonian region, have minimal Catalan speaking abilities. Therefore, in the home he speaks Spanish but with his friends and co-workers he almost always speaks Catalan. He states, “At home we never questioned the linguistic issue when I was going to school, I always considered it my other language. If I did not speak fluent Catalan, I probably wouldn't have found this job and I wouldn't feel so at home here” (Balsells, 2011). Marina, mother of a grade-schooler, represents the opposing side and exemplifies the controversy that began decades ago over the issue of linguistic immersion. She wants the regional government to require that more classes be taught in Spanish saying, “I am not against Catalan; I want her to learn it and speak it correctly…but I think it is totally exaggerated to leave out Spanish.” The current law in Catalonia states that Marina’s daughter can choose the language she wants to be educated in for her schooling until the age of eight when she must be taught in the vehicular language of the region’s education system which is Catalan (Balsells, 2011). The lack of alternatives and inequality of language use illustrates the complex problems and dichotomy between Catalan and Spanish. There are many complex features to identity, but language is one of the most notable traits that constructs identity due to its innate ability to convey information about the speaker’s social or ethnic character (Boix-Fuster, E,. & Sanz, C.). Thus, the linguistic policies of the educational system in Catalonia are vital when examining the identity that Catalonians embody. In the future the identity tensions of this society will undoubtedly continue to be paralleled by its policies and increasing bilingualism. The author of this blog entry is Eileen Sanders, a senior in Global Studies, with a minor in Spanish, at the University of Illinois. Eileen is planning on joining the Peace Corps or working in the Human Rights field. Her personal interests lie in traveling, dancing, and attending music festivals. She wrote this text in the seminar SPAN 418, Language and Minorities in Europe. This is very informative post. Your blog is an extraordinary resource for those interested in languages. We all know that there are many benefits in learning Spanish as a second language. I am also learning it.